It was a perfect service: sorting your mail and not just removing all spam for you, but also unsubscribing you from all of that spam garbage going forward. It kept your inbox perfectly clean. But behind the curtains, it also sold your inbox to the highest bidder. Sometimes, you’re maliciously signed up to tens of thousands of mailing lists because somebody was annoyed with something you said, somewhere. The cost of doing so is low and it causes a ton of headache as you’re getting hundreds of spam per minute. Fortunately, most of those are double-opt-in confirmation mails — “click this link to confirm the subscription” — but maybe five percent are not, and those malicious signups will continue to clobber your inbox with noise. Enter Unroll, which was the solution for this scenario: you gave it access to your mailbox, and it would not only detect and remove such unwanted spam, but also unsubscribe you from those tens of thousands of malicious subscriptions. Except, as it turns out, they also kept every single one of your mails, including those with passwords and other sensitive information, and sold them to the highest bidder. This highlights the importance of information hygiene. Information hygiene means that you’re aware not of what somebody claims to do with your data, but that you understand what they are able to do. For example, if a service promises to sort your email for you, then it necessarily must also be able to read all that email, for the action of sorting requires observation – and consequently, they are also able to sell your private mails to others. This is an ability they hold regardless of what they promise to do, or more relevantly, appear to promise to do. The act of sorting requires observation. Therefore, any service sorting your data must also be able to read all your data. In a blog post about the revelation that they sell inbox data, Unroll CEO states that “it was heartbreaking to see that some of our users were upset to learn about how we monetize our free service”. The comments are, predictably, furious: the top comment states that “this is a one-strike-I-leave-the-service kind of thing”. That same top comment also states that it’s a big deal to give somebody access to their inbox. Doing so should always, always, be done with the awareness that they will at least read all of it (if nothing else, to determine which mails to read closer, to perform the promised service), and that any information, once read, cannot be unread – but can be processed, aggregated, sold, et cetera. If you are providing your inbox to somebody else, and want privacy, you need to encrypt your mails, just like you’re encrypting your Internet connection to prevent others from eavesdropping on it. I worked for a company that nearly acquired unroll.me. At the time, which was over three years ago, they had kept a copy of every single email of yours that you sent or received while a part of their service. Those emails were kept in a series of poorly secured S3 buckets. 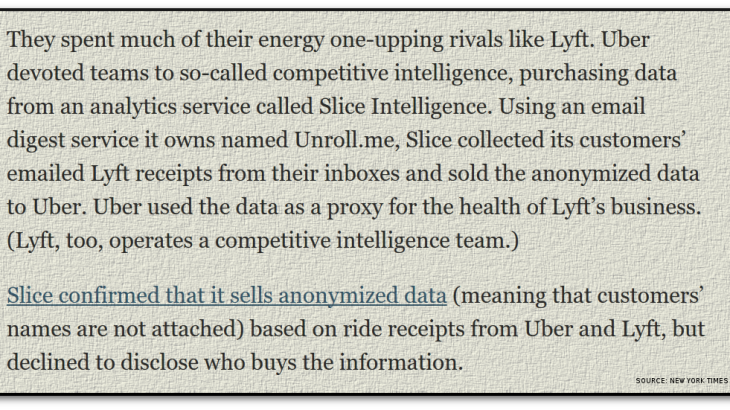 A large part of Slice buying unroll.me was for access to those email archives. Specifically, they wanted to look for keyword trends and for receipts from online purchases. The founders of unroll.me were pretty dishonest, which is a large part of why the company I worked for declined to purchase the company. As an example, one of the problems was how the founders had valued and then diluted equity shares that employees held. To make a long story short, there weren’t any circumstances in which employees who held options or an equity stake would see any money. I hope you weren’t emailed any legal documents or passwords written in the clear. Take a moment to absorb that, and add to the fact that they had a useful service that many subscribed to, combined with that sloppiness (not to say bordering on malice) with people’s private data – and sprinkle the CEO’s “heartbrokedness” when users learned how they made money on top. Last but not least, Unroll tries to deflect blame here by saying they’re only selling “anonymized” data. It must be remembered, that anonymization is hard. As in, really really really hard. Most data can be de-anonymized; strong anonymization is basically as hard as strong encryption, and most people doing anonymization are happy amateurs who do not understand the scope and difficulty of the task. This article has previously been published at Private Internet Access. You are at the right place as we have made the perfect PSN code generator for you to get unlimited codes generated for your PSN gaming account. Now I am gaming all the time with my friends and enjoy it to the fullest. I am so thankful to the website. I am going to share this with everyone. As it is very interesting my friends are also looking for it, i am gonna share it with them instantly. Je suis déjà mis à la retraite, mais j’ai admis un petit emploi en tant que fonctionnaire d’exécution dans la ville de Paris, afin que je récupère d’argent et que je puisse soutenir mes enfants. J’admire beaucoup les gens qui veulent s’offrir la beauté même s’ils sont âgées, comme il vient sur les négociations. Si des impôts me sont payés de retour, mes enfants reçoivent quelque chose. Parfois, je leur commande aussi des livres. 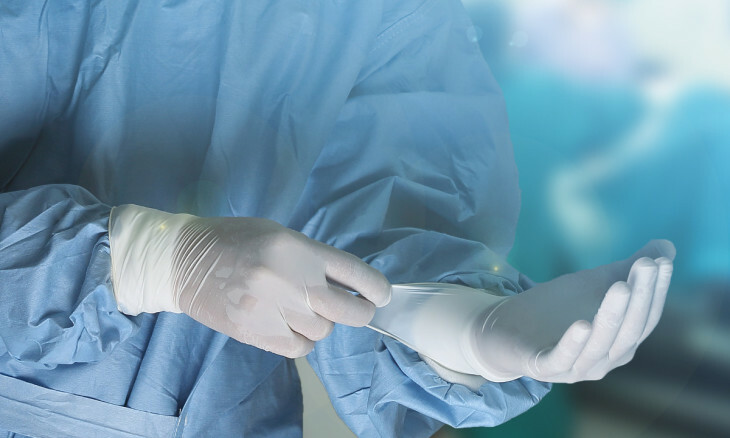 Mais je pourrais pas payer 5000 euros pour une chirurgie esthétique, excursion tout compris les frais de voyage, l’avion et la chirurgie esthétique en Tunisie est certainement la solution.